Newark Today with guests Mayor Ras Baraka and Shakira McKnight with the city's Office of Youth and College Affairs. On this month's edition of Newark Today we are joined by Mayor Ras Baraka and Bill Fitzsimmons with the Essex County Public Defender's office to talk about bail reform and how the new system will affect communities in Newark. 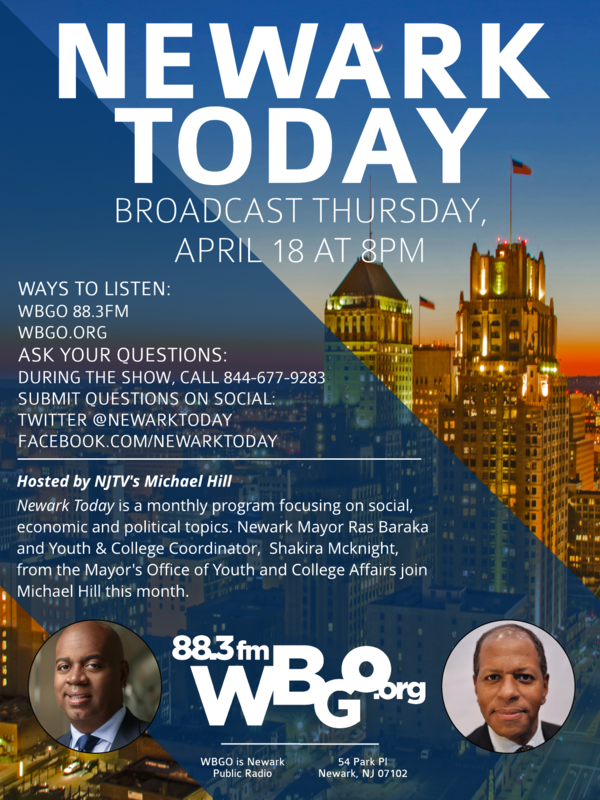 On this month's Newark Today host Michael Hill of NJTV News will be joined by Mayor Ras Baraka and Aisha Glover, President and CEO of Newark Community Economic Development Corporation, to discuss the push to make Newark the city of choice for the next Amazon headquarters, a deal that could be worth billions in tax incentives and could bring tens of thousands of jobs.